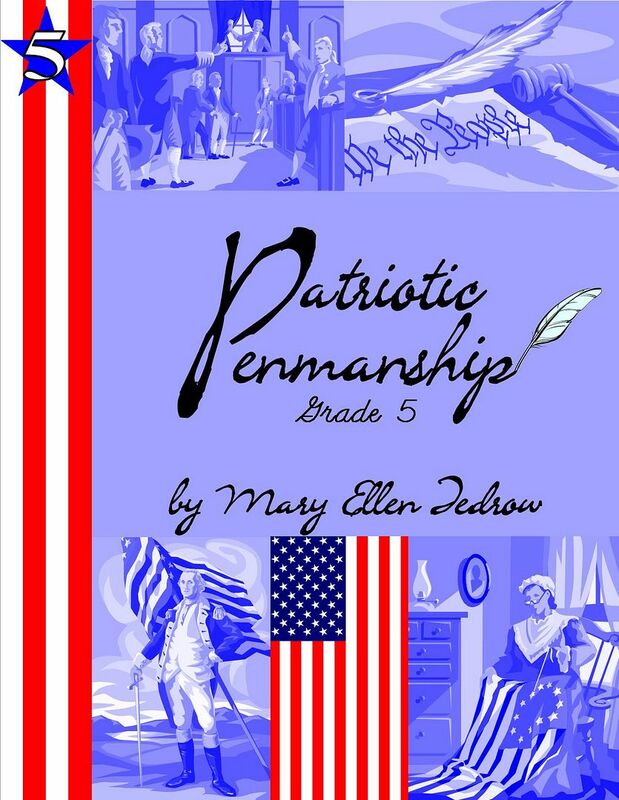 We’ve used a standard handwriting program for years, but it was a really nice change of pace to try out Laurelwood Books‘ Patriotic Penmanship Grade 5. Patriotic Penmanship uses a combination of famous quotes and Bible verses to teach handwriting. It’s available for grades 1 through high school, and the youngest grades can be purchased in manuscript (printing) while the older grades come in cursive. I liked how the pages were more than just copying words, they were really worthwhile text that the student could also commit to memory or just have exposure to. Now I ordered this particular text for my middle son, who does not enjoy handwriting. He’s of the mindset that it’s 2016 and typing is a thing, so he shouldn’t have to write. He’s also of the mindset that it’s 2016 so he should be able to order software so he dictates to the computer and doesn’t have to type or spell. Obviously this presents some issues with handwriting practice because he just does not want to do it. What I liked about this book is that I could kind of present it to him as a “great words” exercise, rather than straight handwriting. On each page there are tracing options, as well as writing practice, and there is a copy of the cursive alphabet on the bottom of the page (because sometimes you forget what a cursive z looks like). There are fewer lessons in this book than what we are used to (previously he’s done daily handwriting practice), but I think that for 5th grade that’s really a good thing. He’s ready to move to weekly handwriting practice, both for his sanity and because of the level of penmanship he’s already at. Each Patriotic Penmanship book (grades 1-5, junior high, high school) contains different quotes and verses, so you could definitely use them each year and not have your child feel like they were repeating anything. At $13.95, these are a great consumable product for teaching handwriting with a unique, American twist. If you’re doing American History, I think this is a must-purchase as a supplement to what you’re already studying. Logan and I both give this program a thumbs up (he qualifies that with “you know, for handwriting”) and enjoyed the content and the program. If you’d like to read more about the programs offered by Laurelwood Books (other levels of handwriting, Latin, etc) be sure to visit the homeschool review crew link below and check out what other families thought of this program.